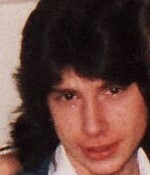 The 1987 unsolved homicide of Raymond Breault. The body of Raymond Breault, age 17, of Jericho Road, Berlin, NH, was found at approximately 6:30 a.m. on April 22, 1987 on a railroad bed adjacent to Jericho Road by railroad workers. The victim died as a result of a single stab wound to the heart.